Sold as a receiver only. 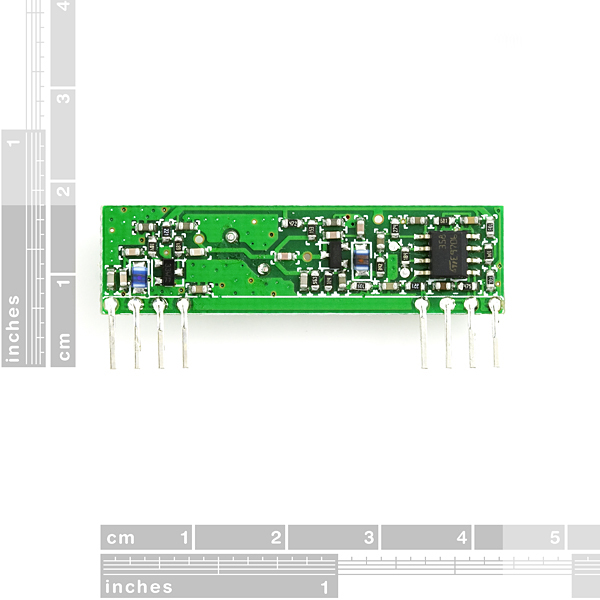 This receiver type is good for data rates up to 2400bps and will only work with the 315MHz transmitter. Multiple 315MHz receivers can listen to one 315MHz transmitter. 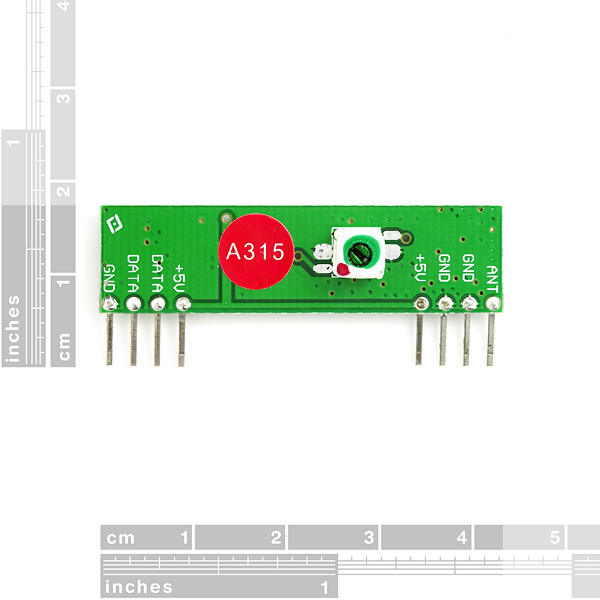 We have used these modules extensively and have been very impressed with their ease of use and direct interface to an MCU. The theory of operation is very simple. What the transmitter 'sees' on its data pin is what the receiver outputs on its data pin. 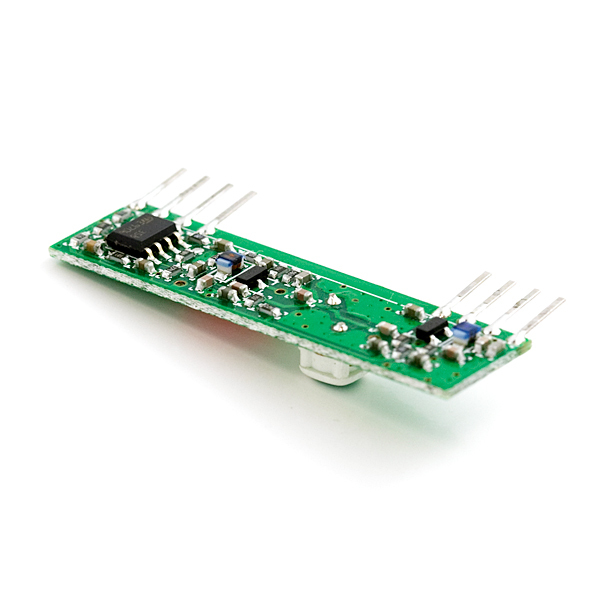 If you can configure the UART module on a PIC, you have an instant wireless data connection. Data rates are limited to 2400bps. The typical range is 500ft for open area. Anyone found an alternative 315MHz RF Receiver? is there alternatif for this? is there something i can use instead of this now? I can see in the diagram from the datasheet a capacitor connected with the antenna, what is it for? and whats a good value for it? I'm trying to use this receiver to power some EL wire when it receives a strong signal. However, it seems to be picking up a lot of random fuzz in the area, and is powering the EL wire all the time. Any suggestions on how to make it only respond to a solid signal? To make the matter even more fun, I'm trying to do this all without a microcontoller. I can see how to do it with an MCU, of course, but any suggestions on smoothing out the 'fuzz' it's picking up without one? Thanks! Does anyone know if these have an FCC ID? If you use them in something commercial do you need to do your own FCC certification? That's one of the best parts about the Xbee, it comes with it's own FCC ID. I found this receiver and the recommended transmitter very easy to use with the VirtualWire library and my Arduino.